Every time we go to Maui we make sure we leave time to go Īao Valley State Park and the wonderful Gardens at Kepaniwai County park. The first time we were there was 28 years ago and I was saddened to learn that the parks were damaged severely last week. As of today Īao Valley State Monument on Maui, will remain closed indefinitely due to extensive damage from heavy rain and flooding that occurred on the night of Sept. 13 and early morning on Sept. 14, 2016. “Our inspections show that the (ʻĪao Stream) Wailuku River course has changed and is significantly wider, cutting into state park land that contained public access features. The stream is heavily silted and cobbled with new material and landslides on both sides of the stream are evident,” said Curt Cottrell, Department of Land and Natural Resources State Parks division administrator. I hope no one was injured although I believe several lost their homes which is injury enough. I know the spirit of the Hawaiian people and am sure the park will reopen soon but “mother nature” did some real damage and it will take hard work and dedication. If I win the lottery this is where I would live. 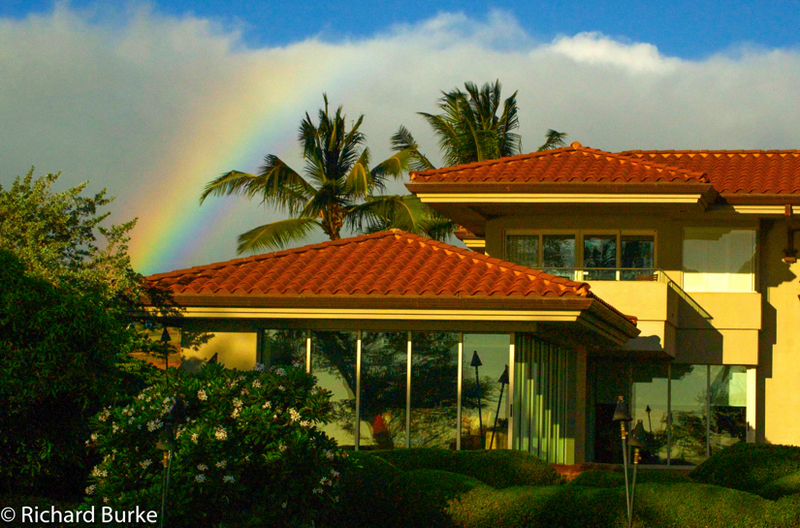 This was for sale last time I was in Maui and it is nestled directly on Kaanapali Beach on the walkway between Whalers Village and the Hilton Hotel. They were asking $1.1 million at the time and yes it did have a pool secluded in the back. Rainbow is optional but usually available. My son in law hates dolphins. He went to a swim with the dolphin attraction when he was little and the Dolphin bit him. He calls dolphins “jerks” and I understand why. While I have no desire to swim with them, I do think they are fun to watch from a boat or dock. 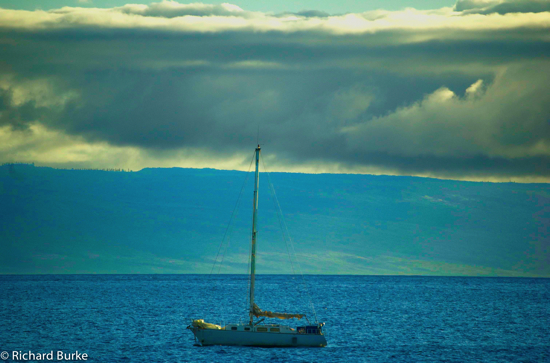 I took this picture while on a whale watching expedition in Maui. The boat captain called this school of dolphins spinner dolphins. 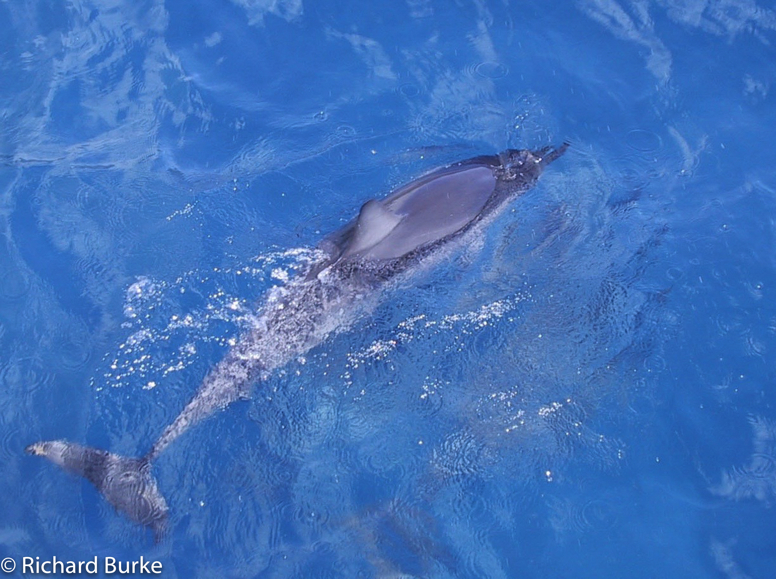 They are smaller than a lot of dolphins and tend to stay near the shore areas. They are called spinners because they perform wonderful acrobatic dances when they jump from the water. I am going to be posting images that I may have posted before with a candidate # thereby collecting a list of what I feel would be likely candidates to print for a gallery show of new images of only digital photography. 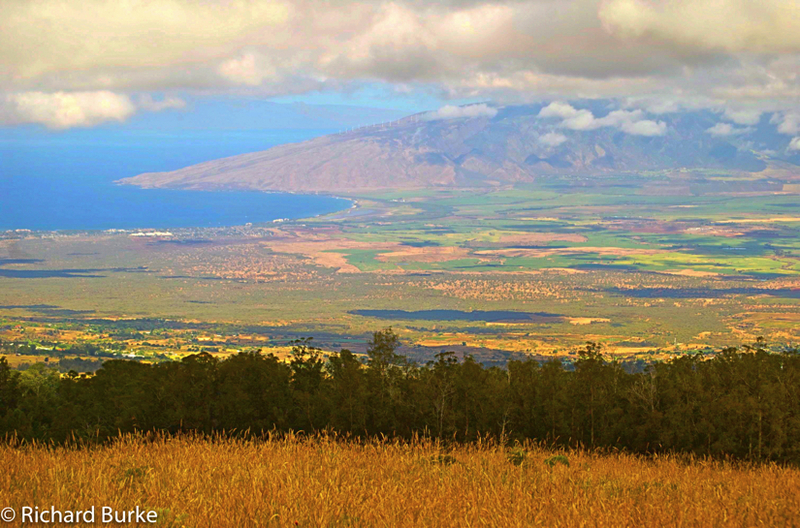 The ride to to the top of Haleakala National Park in Maui is almost as much fun as the Park itself. 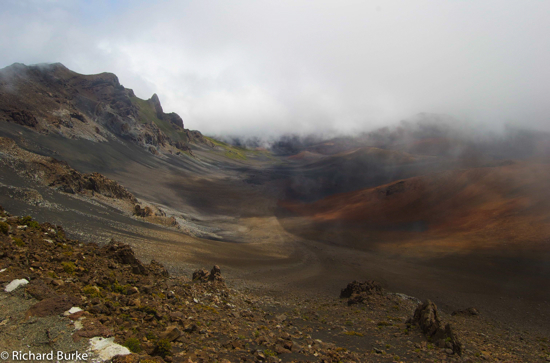 The drive takes you through many types of natural areas and climates and ends in a volcano crater which looks like the moon. This image was captured in the morning and you can see the true beauty of the Maui coast. Please feel free to leave comments if you agree or disagree about including them in a “best of” list.